Amir Sabollah is making a comeback in the airwaves, while Peter Sobotta is perhaps making his last appearance under the Zuffa banner. Though it is still under way, the Sabollah and Sobotta match looks a fight to look forward for on the upcoming UFC 122. 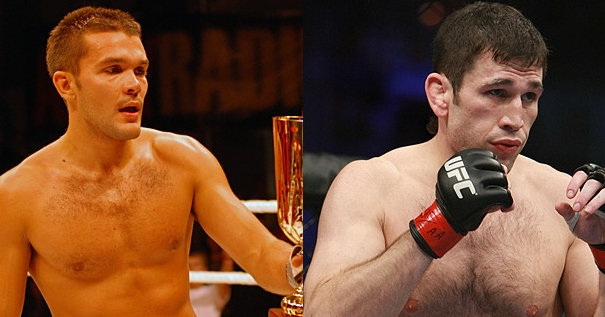 According to GroundandPound.de, TUF 7 winner Amir Sadollah will be back on the Spike TV airwaves as he face Peter Sobotta at UFC 122 on November 13. Sadollah (3-2) got his two victories — by decision — over Brad Blackburn at UFC Fight Night 20 and Phil Baroni from UFC 106. But his two-fight winning streak came to an end when Dong Hyun Kim beats him down at UFC 114: “Rampage vs. Evans” last May. Sabotta (8-3), on the other hand, is making his third — and maybe his final — appearance under the Zuffa banner. After a unanimous decision triumph against Paul Taylor at UFC 99, he was defeated by James Wilks at UFC 115. UFC 122 is anticipated to feature a bunch of German-born contenders, but no official match-ups has been announced yet. Make sure to check back for more news on this underway fight card.